A great blog can always increase your sales and profit. But drafting a blog to yield such results need some certain specifications and craftsmanship. For small businesses, blogs can be an inexpensive way to reach new customers and establish credibility in their market. According to Hubspot 2013 State of Inbound Marketing Report 82% of marketers who blog daily acquired a customer using their blog, as opposed to 57% of marketers who blog monthly — which, by itself, is still an impressive result. So, if you’re not blogging, it’s time to get started or get left behind. In this post we’ll discuss 18 ways blogging can help your business. Every business needs traffic, whether this is foot traffic in a high street store or ‘eyeballs’ to an online store. A good blog not only generates traffic, but also helps retain that traffic, keeping people coming back and growing in loyalty. Informed and educated visitors become confident, loyal customers. More people are turning to the internet to research before they buy. You can position your company as a go-to resource, thereby winning more business. Plus, with blogging, information flows both ways. You can gain insights into your customers’ minds, their needs, challenges and preferences. Comments, feedback forms, surveys and polls become instant, spontaneous market research tools. It’s like working with a free focus group that tells you which products you should create and why. Often too many marketers focus on gaining initial visibility through advertising or attention-seeking stunts. If that tactic does not convert into instant sales, the budget and effort are wasted. With a blog you can hold prospects’ interest for longer, winning customers round over time, and bringing them back to hear from you long after their first contact. No need for spammy, desperate-sounding sales messages. Even better than a growing, loyal audience is a growing, loyal audience that takes action. A blog can motivate your visitors to do things. All you need is copy that warms them up, a motivating story and a clear call to action. Why spend thousands on recruitment consultants and advertising when you have the best recruitment mechanism at your fingertips? Your blog audience is the most likely to respond and the most likely to be appropriate future employees and networking contacts. Customer service and public relations have never been more important; a bad story can spread around the web’s social networks at speed. Your blog becomes a responsive outlet to explain your side of any story and douse the fires of negative activity. You can’t beat valuable, authoritative content for attracting links from other websites, forums, discussion lists and social networks. These links bring a quantity of attention, as well as quality, targeted visitors that turn into good leads. As well as the direct traffic benefit of leads, links are important in bringing in search visitors. The more linkable your website, the better your search results will be. Very often traditional websites are difficult to link to and not easy for search engines to index. This can be due to the website’s structure, the software it’s built with, or its overly complex URLs. Blogs are almost always superior in this respect. Blogging also puts you in touch with prospects in other ways. As any company with a position on the Internet realises, website visitors that come via Google, Yahoo, Bing and other search engines can provide numerous leads. Blogs can add to the frequency with which search vehicles identify you and your company, particularly if your blog allows readers to post a response. 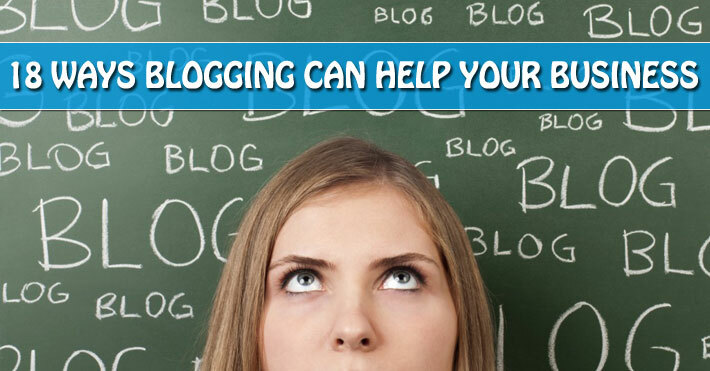 If done properly, blogs have a tremendous benefit relative to search engines. Trust is vital in making sales and important for encouraging visitors to opt into your lead-generation process. By starting with compelling information and resources, and by encouraging repeat communication, you build familiarity. Over time, this creates a strong bond of trust, making sales so much easier. This positive attention and these value-based, long-term experiences don’t just create trust. They help to create a stronger, better brand. This leads to word-of-mouth advertising, which is one of the best forms of promotion you can get. Through discussion, interaction and comments, you can help forge a sense of community that can be strengthened both online and off. Your blog provides multiple routes for customers and prospects to get in touch. It can show your human, approachable side, allow better customer interaction, and improve customer service. All of these benefits add up to more new and repeat sales from much happier and better informed customers. Update your blog on a regular basis containing news, opinions, ideas and brainstorms. It might also have links to other sources of information, other websites and other blogs. Blogging makes a world of sense on a number of levels. Smith operates a business that provides streaming video e-mail and related video communications products. Since many prospective clients might know little about video e-mail, Smith says his blog is a natural way to provide specifics. Blogs have evolved into legitimate alternative sources of news on niche and micro-niche topics,” Rubel says. “Anyone with a passion and dedication could become an amateur journalist. I feel some of these sites — in aggregate — are having just as much sway on public opinion as larger, more established media brands. Develop a casual dialog with your customers. A blog allows you to speak casually to a wide range of people, including your customers and potential customers. Through a blog, and through blog comments, you can create a casual conversation that builds real relationships. Fast communication of current information. Most businesses don’t update their website frequently. A blog allows you to provide up-to-date information to your customers quickly and easily. It’s much easier to update a blog than your website, and it requires no special technical skills. Share multimedia content. With a blog, you can embed other types of content such as videos, photos, and podcasts easily. By including multimedia content in your blog, you centralize all of the content from your company, and make it easy for people to see and use the content you create and provide. You are in control (mostly). Many people use a variety of social media sites like Facebook, Twitter, LinkedIn, etc. These sites are run by other companies, subject to hacker attacks, and may close in the future. Your blog is the only place where you run the show. Yes, your hosting service may have some downtime, but with a good backup strategy, you can be up and running again quickly. And if you still don’t have a business blog & thinking about how blogging can help your business, may be this will help you. 97% more inbound links than those that don’t, which means more search engine traffic. Hence you get an idea as to what creates a good blog thus bringing change in your ROI. Whether you already into business blogging or you’re just starting out. Share your thoughts on business blogging below and what you’re looking to get out of it.